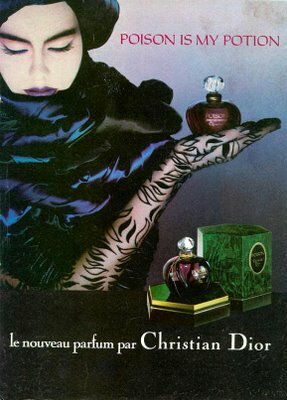 Poison: Nearly 30 years after its debut, the name still causes a chill up the spine or a frisson of fear among those whose nasal passages were assaulted by Christian Dior’s titanic fragrance. 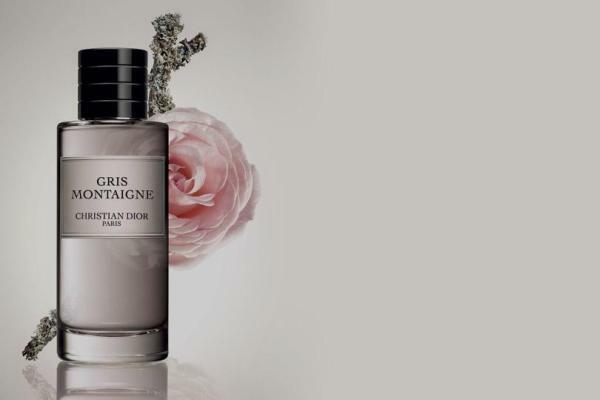 Launched in 1985, Poison entered a world of big perfume. It was the era of flamboyant, often bombastic scents. Even in this context, Poison made an immediate name for itself. Whether this was cause for celebration or not depended on who was doing the smelling. Poison, like Giorgio Beverly Hills, had as many vocal fans as it did vehement opponents. I remember the first time I smelled it. I had recently started wearing Obsession, Calvin Klein’s new-at-the-time Oriental that had a hair tonic note in the base. But during a holiday gathering a cousin arrived, or Poison arrived with the cousin, shrieking in like a comet to the Thanksgiving dinner table. Gone were the typical holiday aromas: chestnuts, turkey, and pumpkin pie. We were served Poison alongside roasted yams and it was all anyone could talk about; even the old aunts clucked—in appreciation.